By 2025 the Czech Army would acquire not only reconnaissance or surveillance UAVs, which already are in operation by the 53rd Regiment of Reconnaissance and Electronic Warfare, but also tactical drones, Tactical Unmanned Aircraft Sytem (TUAS), with the aim to increase the air strike capability. The general project has been unveiled in November 2017, and in June 2018 the Chief of General Staff Lieutenant General Aleš Opata presented the requirements that the new system needs to answer. "The ACR will procure an as yet unknown UCAV platform in 2021 as part of the strategy to further modernise its aerial combat capabilities," Ministry of Defence spokesperson Jan Pejšek told Jane’s on 29th November. So far the Army’s Unmanned Reconnaissance Aerial Vehicle Company operates the ScanEagle UAVs and the RQ-11B Ravens. The Unmanned Combat Aerial Vehicles (UCAV) capable of carrying precision aircraft munition such as air-to-groud guided missiles would be a new addition to the Czech Army’s air strike capability, which is currently provided especially by the 212th Tatical Squadron (L-159A light attack jets), the 221st and 222nd Helicopter Squadrons (Mi-24/35s and Mi-171Sh’s gunships and armed helicopters), and more recently by the 211th Tactical Squadron (JAS-39C upgraded to acquire air-to-ground capabilities). The aim of the acquisition project is to purchase a class II multi-role unmanned system, weight class of 600 kg, capable to carry reconnaissance optoelectronic systems, radar sensors, electronic warfare systems, communication systems, and weapon systems. 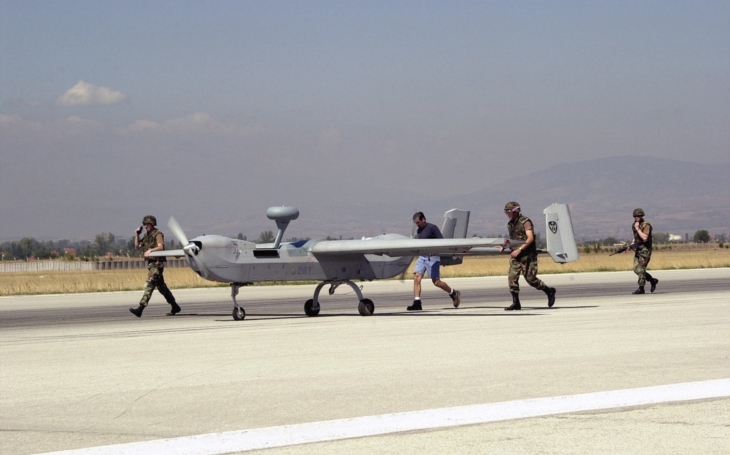 Together with the purchase of the light/reconnaissance UAVs, the acquisition of a TUAS will allow to continue the operation capability of the Czech Army to directly support the ground forces within the ISR (Intelligence Surveillance Reconnaissance) system, and according to the Czech Army’s development plans. By the following specification and requirements the new systems would belong rather among the Tier III UAVs operated by the U.S. Army (MQ-5A/B Hunter and IGNAT/IGNAT-ER), a Medium Range Tactical UAV. Lifetime of 12 years (minimum). Certification of the flight operations security according to NATO STANAG 4671 and operational approval by EASA (European Aviation Safety Agency) and FAR (Federal Aviation Regulations; issued by the Federal Aviation Administration).